The Amboyna conspiracy trial produced a surge of competing pamphlets, complete versions of which can be seen here. 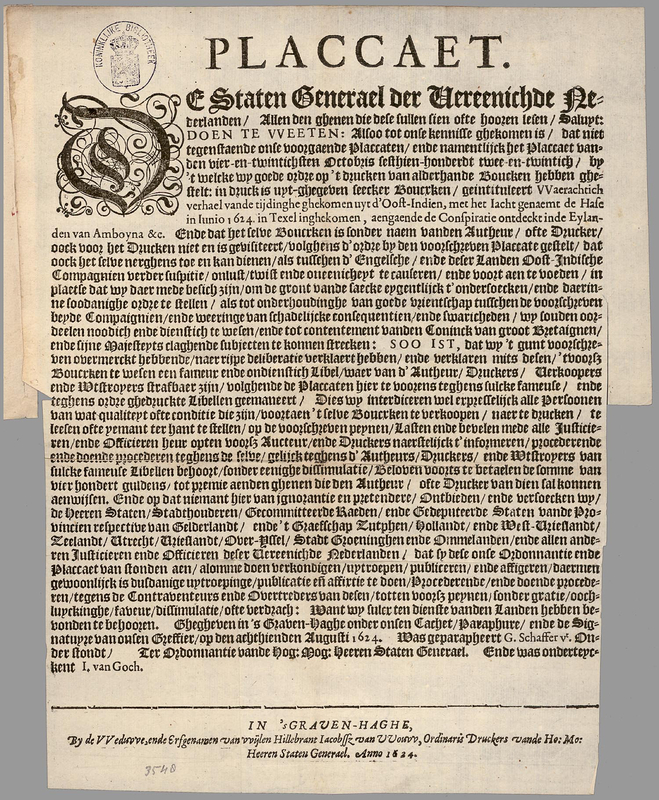 This commenced in July 1624 when a pamphlet entitled A True Declaration of the News that came out of the East-Indies, was printed in Dutch and later translated into English. It was followed by an English pamphlet, A true relation of the uniust, cruell, and barbarous proceedings against the English at Amboyna in the East-Indies by the Neatherlandish gouernour and councel there, that was drawn up by John Skinner. In 1632, the pamphleting war was renewed when a further set of three pamphlets from both sides were published together. 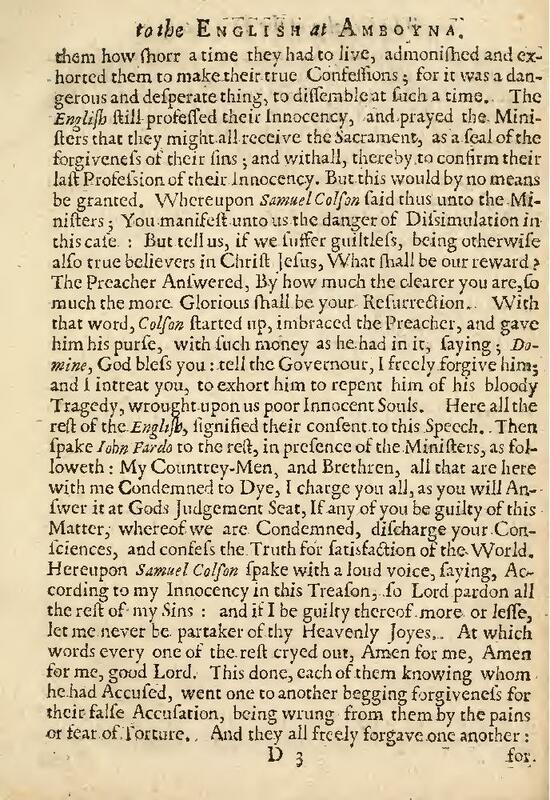 The first part, A remonstrance of the directors of the Netherlands East India Company presented to the Lords States Generall of the united Provinces, in defence of the said Companie, touching the bloudy proceedings against the English merchants, executed at Amboyna, was an answer to Skinner’s pamphlet and came with a translation of the Amboyna judicial record. Again, the English responded in the form of A Reply to the Remonstrance of the Bewinthebbers or Directors of the Netherlands East India Companie which worked through each of the arguments put forward and attempted to demolish it. The value of these pamphlets as historical sources is debatable but they were crucial in shaping the public reaction to Amboyna.